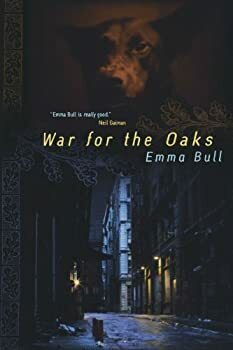 Emma Bull is a science fiction and fantasy author whose best-known novel is War for the Oaks, one of the pioneering works of urban fantasy. She has participated in Terri Windling’s Borderland shared universe, which is the setting of her 1994 novel Finder. She sang in the rock-funk band Cats Laughing, and both sang and played guitar in the folk duo The Flash Girls while living in Minneapolis, Minnesota. 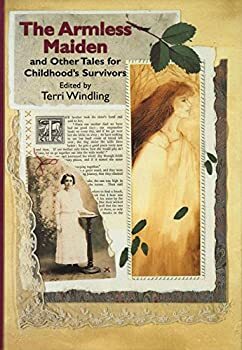 She was a member of the writing group The Scribblies, which included her husband Will Shetterly as well as Pamela Dean, Kara Dalkey, Nate Bucklin, Patricia Wrede and Steven Brust. Emma Bull graduated from Beloit College in 1976. Bull and Shetterly live in Arizona. Emma Bull has been nominated for several prestigious awards including a Hugo, two Nebulas, and a World Fantasy Award. Learn more Emma Bull’s website. Liavek — (1985-1990) An anthology series edited by Emma Bull and Will Shetterly, similar to Thieves’ World. One of the things I love about used bookstores is stumbling across out of print books from favorite authors. I picked up Liavek because I’ve enjoyed Emma Bull since The War for the Oaks, and discovered a fun collection of short stories. 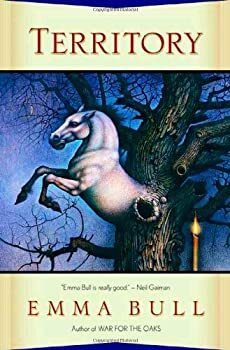 Unlike most anthologies, Liavek is a shared world universe, where all the authors write short stories that are set in the same location, with the same characters. Not only do characters reoccur, but events from early stories are referenced in later tales in the volume. This makes the anthology read more like a novel than a collection of loosely linked stories. 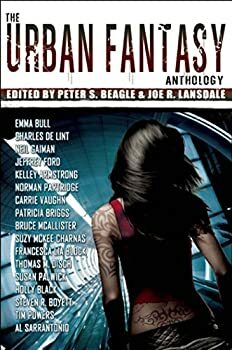 Anyone who likes urban fantasy should go "back to basics" and pick up this defining classic of the subgenre. I've read several books that borrow zillions of plot elements from War for the Oaks, but never reach the same sort of exhilarating heights. Yeah, yeah, we all know the story: young woman wanders the city at night and meets a mysterious stranger, so on, so forth. Now sit back and see it done right! Eddi McCandry has just quit her boyfriend's abysmal band, and now plans to break up with the boyfriend as well. 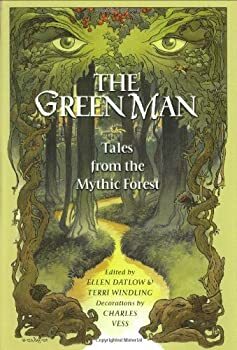 But before she gets the chance to talk to him, she gets recruited into a war between the Seelie and Unseelie Courts, for the heart and soul and magic of Minneapolis. You see, the Fair Folk can't wound each other in battle unless there is a human there to lend mortality. The Seelie Court needs Eddi in order to make their sparring a war rather than a mere sport. 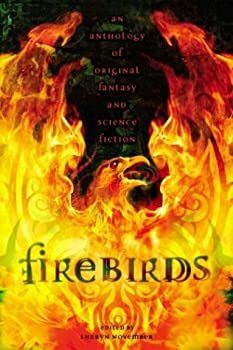 Firebirds is the first of the three FIREBIRD anthologies edited by Sharyn November. Some people don’t like short stories, especially in anthologies where you are reading several different authors. I, however, almost always have a volume of short stories on my bedside table. Even if I manage to get no other reading done during a hectic day, it is a way for me to finish a whole story in 15-20 minutes. In an age where many authors seem incapable of writing anything other than multi-novel epics, it is a treasure to be able to enjoy a whole tale in one sitting. Emma Bull turns the infamous gunfight at the OK Corral into a romping fantasy adventure in Territory. Since I don't know much about this period, most of the historical specifics were lost on me. For example, I can't critique her characterization of Wyatt Earp or Doc Holliday or say if she was accurate with the nitty-gritty details of events. Thus, historical accuracy wasn’t a huge deal to me, which allowed me to sit back and really enjoy the book for its story. Falcon — (1985) Publisher: Ace star pilot Dominic Falcon fights to defend a planet while a deadly drug courses through his blood stream, destroying his boy’s defenses and rendering him helpless. Bone Dance: A Fantasy for Technophiles — (1991) Publisher: Sparrow’s my name. Trader. Deal-maker. Hustler, some call me. I work the Night Fair circuit, buying and selling pre-nuke videos from the world before. I know how to get a high price, especially on Big Bang collectibles. But the hottest ticket of all is information on the Horsemen — the mind-control weapons that tilted the balance in the war between the Americas. That’s the prize I’m after. But it seems I’m having trouble controlling my own mind. The Horsemen are coming. The Princess and the Lord of Night — (1994) Ages 5 and up. Publisher: An unconventional fairy tale presents a princess who must get everything she wants, or her parents will die and their kingdom be destroyed, but the princess reaches the point where she must work to get what she really wants. Finder: A Novel of the Borderlands — (1994) Young adult. Publisher: American Library Association Best Books for Young Adults. VOYA Best Science Fiction, Fantasy & Horror. Welcome to Bordertown. A hybrid community of misfits, oddballs and runaways. Where humans, elves and halflings co-exist. 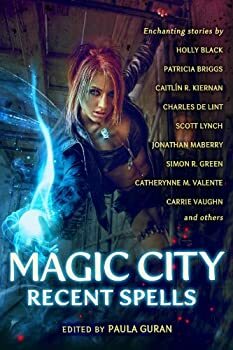 Where magic and the brutal realities of survival clash and mix. For Orient and Tick-Tick, it’s just home. Death and dark magic hang ov er the city. A seductive new drug lures young runaways to their destruction. A mysterious plague spreads through the streets. And beneath the clock tower on High Street, Bonnie Prince Charlie lies slain by an unseen hand. A cop named Sunny Rico exploits Orient’s talent for finding objects to track the killer and leads both herself and him into the darker secrets of Elflands’ immigrant citizens. Double Feature — (1994) Publisher: This trade paperback reprint of the Boskone 31 Book contains 13 pieces of fiction, non-fiction, and poetry plus brief biographies and bibligoraphies of each author and an introduction by Patrick & Teresa Nielsen Hayden. Cover Art by Nick Jainschigg.